The 3 Toadstools : Out Of The Abyss - Play Report Session 4? Out Of The Abyss - Play Report Session 4? Not quite sure if we are on session 4 or 5 at this point? Anyhow, we got our bard back! He was unable to make it to the previous session. We decided to go and take on a medusa who is living on the outskirts of blingdenstone. Well first we talked to the ruling gnomish council and let them know about the slim and death in a cavern we found not far from the city. We basically told them that there was no way we were going to deal with that situation without a army of gnomes and a LOT of gold. 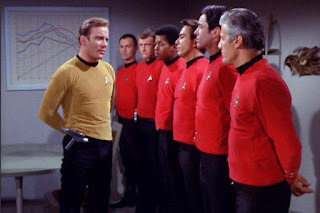 We decided against bringing out NPC helpers with us this time around, so it was the 4 of us and one Ensign Red Shirt Ricky Gnome. Ricky was actually quite helpful, I think he was basically rolling crits the whole time. We stumbled into this large cavern, and met up with a fairly large pissed off earth elemental! And a fight ensues! Whilst attacking the elemental we also woke up not 1 but 2 gargoyles! (I have to check the CR on this one, but we are all 4th level here). After some major heroics from Ravana (our meat basically) and Tolgrin. We managed to defeat all 3 of them. At one point tolgrin jumped off a ledge and did a flying 6d6 punch off a ledge onto the elemental. Which was quite cool. Our bard cast a phantasm, and basically toyed with the elemental, trying to get him to fall off the cliff. Basically a female elemental shaking her thing at him. Seemed to keep him distracted for awhile. My cleric, I believe has some reasonable staying power. He did not suffer any damage whatsoever. After we almost took down the elemental and the gargoyles, Ravana decided to scout ahead and found a room with a bunch of statues. Of course it turns out some of them are actual living statues and not just medusa victims. We got into a fight with them as well, Tolgrin was slamming himself into all of them, and taking major damage. I looked at the player, and he had a martyr look on his face. We made a break for it, and Tolgrin threw the "pan of glory" to Ravana, and then died. 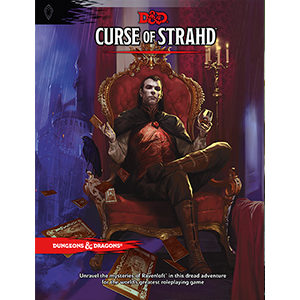 It appears our DM is a bit pooped out, so we are taking a break from the Abyss and we are going to start playing some Curse Of Strahd, which should be fun. Neat thing about our group is that we basically have 4 DM's, which is highly unusual. At some point I will be getting my wife to run a few sessions as well, so that will be a ton of DMs! We got the Curse of Strahd for Josh's birthday, he was over the top excited as Ravenloft is his fav. So it appears next session will be new characters and a new DM. I haven't quite decided what I'll be, but quite possibly another cleric, I quite like them as a player. We managed to basically spend 4 or so hours fighting. While it was fun, it got mildly mechanical by the end of the day. I'm aware that 4th edition used to take quite a long time for fights. I'm tending to wonder what other's experiences have been with 5th edition and battles? Do you find it quick? or quicker than 4th? The few bigger fights I've ran in 5th took a long time. Longer than any OSR game I've ever run anyways. I think the last session for Phandelver we spent the whole time fighting some orcs. (like 2 or so hours). While I appreciate fighting, just running large battles can be difficult on the brain. Otherwise, good session, good food, a few laughs. All good. Doing some Character creation this evening.